I did some further testing, and it turns out that the E5200 (R0 Stepping) actually consumed more power than the E7400 I have, both at idle and load. I tried to swap the CPU heatsink for a Silverstone NT07-775, which is significantly quieter than the stock heatsink, but it was still not quiet enough. So I took out the HD/Optical drive cage completely and managed to squeeze in a Scythe Shuriken. For the time being, I've hard mounted the 2.5" HD with some parts I had lying around, but will probably find a way to soft mount the drive at some point. It's still not quite quiet enough to place on my desk, but it's pretty quiet under the desk - probably similar to an Antec P150/Solo. I don't own any sound measuring equipment so I cannot measure the actual sound level. Some more details about the power supply - the DC-DC board is an Antec MD-135 and the external brick is a Delta ADP-65HB AB @19V. Has an efficiency rating of 'IV' on the brick. 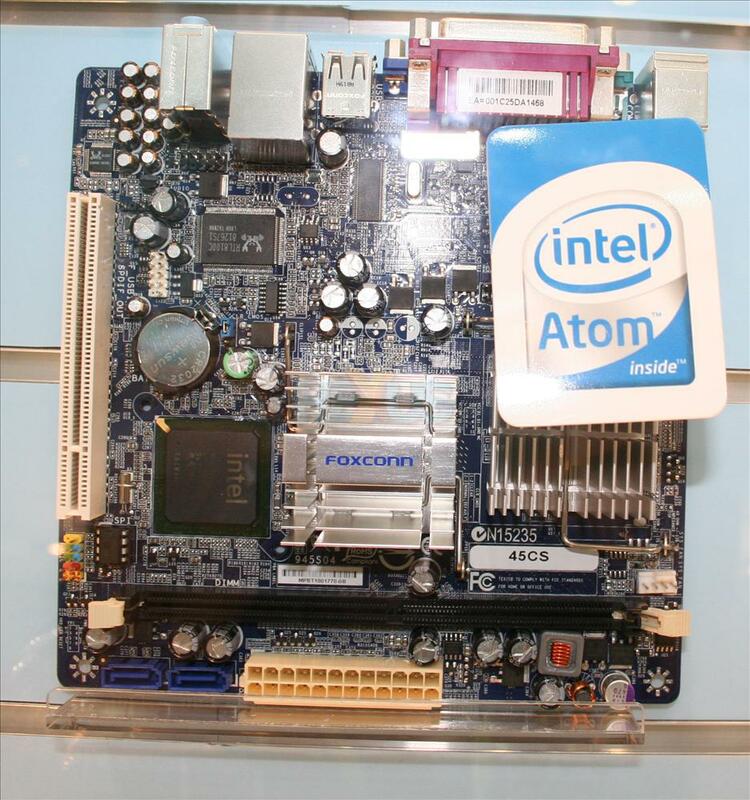 I could not find any specs on the DC-DC board - whether or not it might be able to take a larger brick or not. As the system runs almost exactly 65W at load, I'm thinking that it would be a better idea to swap out the PSU for a PicoPSU or similar. It would free up lots of space inside the case, too, with the possibility of mounting a 3.5" drive inside with some mods. There are some hooks and additional screw holes on the bottom of the case that are unused, which might make the mod easier. Overall, I'm happy with the case - it's the only Mini-ITX case I've found that supports two 80mm fans and has good cooling at this size and price. Thanks for the extensive info! Would it be possible to mod the case to fit a 3.5" disk? You'd better believe I'll be watching this thread! I want to build a near-silent, portable desktop rig - this one sure has my eye!! Thanks for the very detailed info...may I ask two small questions as well? Did Antec include mounting screws for a slim optical drive? These always seem to be a pain to find if they are not included. Did they include any type of converter for the slim optical drive? i.e., I want to put a SATA optical drive in this case, but this usually necessitates a different type of cable since the power connector seems to be different on slim optical drives. Didn't want to buy one if they included it. The official manual and marketing sheet are of no help. Newegg now has the case listed, but it is impossible to discern what bits and pieces come with the case from the photos. I wanted to post a link to the case, but I am too new to the forum. The case has enough space to add at least one 3.5" HD, if the stock drive cage is modified or replaced. Currently, I have a 2.5" HD mounted on a 2.5" -> 3.5" drive bay adapter, rigged into the case with some metal brackets, long screws and nylon spacers. The 3.5" drive will be a much tighter fit, though. I've ordered a PicoPSU, so I'm going to experiment a bit further once that arrives. I'm thinking the case should have enough cooling to support at least a 5400RPM 3.5" drive. I don't think a second 3.5" drive can fit where the stock PSU is - it looks to be too tight by a few mm. There are 2 tiny screws that appear to be for the slim optical drive - they are screwed into the metal drive cage, not in the plastic bag. The stock PSU also has a separate mini SATA power cable. How could one fit a 3.5in drive into the drive cage? I have never modded a case before. I love this case, but the only thing is I want to use a regular desktop drive with it. You'd have to remove the 2.5" drive cage (this part is normally removable, secured with one thumb screw), bend away or cut out some metal from the optical drive cage, and drill a few holes for the 3.5" HD mount. You won't be able to mount any optical drive with this mod, obviously. Also, depending on the motherboard/CPU and the 3.5" drive you use, I am not sure if the stock 65W PSU would be enough to power a 3.5" HD - especially the initial startup/spinup surge. The stock PSU can barely handle my motherboard/CPU & 2.5" HD, so I would definitely swap out the PSU with a higher wattage PicoPSU or similar if using a 3.5" drive and a desktop CPU. Oh okay, I was planning to use a pico anyways, however i didn't realize 3.5in would mean no optical drive... . So does the pico plug coming from the ac/dc adaptor fit in the hole from the plug of the stock psu? 1) If using a PicoPSU, the area taken by the stock PSU becomes free. However, a 3.5" drive doesn't fit here by a few mm because the front panel connectors stick out into this area. It might be possible to dremel out a few mm of the plastic, though I'm not sure if that's possible w/o damage. 2) If you use a super low profile CPU cooler or a low profile Atom board like the Intel D945GSEJT, then you might be able to mount a 3.5" drive on top of the CPU area. But super low profile CPU coolers usually aren't quiet. Either way - I think it will take some trial and error - since, after all, this case isn't designed for 3.5" drives. I chose to use an external slim optical drive instead of one built in, since I don't need to use it that often. does anyone have links to pics of the 400? 4 drive bays! even if that means 3x 2.5" bays, you could probably mod to fit 2x 3.5" if you do away with the optical. which would be my case, in a headless WHS build. Does anyone know whether Antec is planning on releasing this case without the DC Power board or the external PSU. ??? The main 2 problems with this case is that for many users the 65W power supply is simply not enough, and the case is a fair amount larger than needed due to the positioning of the power board. Also is SPCR going to review this case.? "I apologize but we do not have any information on any future products." So I guess the official company line on it is "no comment" which isn't too much of a surprise. Aside from some slight mention of the ISK 400 from those articles back in February or whenever it was I don't think there has been any more mention of other ITX cases from them. Does anyone who has the case know what the heatsink clearance is? I know the Shuriken does not fit, but will the new Big Shuriken (58mm) which is a couple mm shorter, fit? Whilst it is innovative and nicely presented, I would not consider this case to be a worthwhile offering unless it can be kept cool entirely passively. That seems like a pretty high bar. Only cases that are meant to keep a system cool passively.... are passive cases. Or if you use very low powered parts in which case almost any case would work. For a fan-based case, it seems pretty decent. Especially compared to others mini-ITX ones. With a bit of modding, I think it could be really good. For Â£65? Good luck with that. For a fan-based case, it has one major flaw - it is full of holes! Literally! Any fan moving inside that case will be clearly audible from the outside. Such a case design is, in my opinion, quite simply pointless, for any silent PC enthusiast. That's a misquided, misinformed post. Full of holes? Are you even looking at the same case discussed here? The thing has two vents -- one intake one exhaust, the minimum necessary for any fan cooled case. Silence cannot be achieved by "blocking" the sound in a fan-cooled case, which is what you suggest. Thin metal panels have minimal sound blocking properties; the practical way to achieve low noise is to run very quiet components, and if you want good enough cooling with slow, quiet fans, this means the case must have very good, unimpeded airflow path design. Any fan cooled case that has no holes (or inadequate vents) will cook its components. Any fan cooled case that has no holes (or inadequate vents) will cook its components. Come on, Mike. You know as well as I do that there is a significant performance difference between fancy meshing and specific front and rear fan vents. Proper silent PC cases usually have only discreet front and rear fan vents. Useless PC cases which offer only aesthetic value tend to feature unnecessary areas meshing and superfluous side vents at all sorts of additional locations on their chasis. It is a fairly standard point of agreement that 'sealed' cases are far less noisy than aesthetically vented cases. This is why I consider this case to be practically useless for silent computing purposes. Though it is very nice, aesthetically, granted. What in the world are you blathering on about?! "proper"? According to who? What counts is not where the vents are but whether they are positioned well to provide airflow to the components. You've ignored 1 & 2 and totally distorted 3. This is why I consider this case to be practically useless for silent computing purposes. Though it is very nice, aesthetically, granted. Last edited by MikeC on Fri Aug 07, 2009 9:19 pm, edited 1 time in total. I am more than willing to be proven wrong! It is, after all, a very attractive case, and if it performed to a level comparable with Antec's Solo or even Sonata then it would definitely be a winner. But when I see only 80mm fans, and relatively large side venting for intake and exhaust, it does make me think that it would be likely to produce considerably more noise. I will read the review! I think you are totally missing the point of this case. It is for those who want to build a very compact ITX system with respectable sound levels. While you may appreciate a larger size to accomodate slower and bigger fans, you are not one of the people this case is designed for. It's foolish to expect cooling performance of the Solo in less than half the size. And on a side rant, I think some users require a reality check. The smaller the case, the more exponentially difficult it becomes to cool the components within. The problems SPCR had trying to keep their test system cool really shows this. You can't cram desktop components into the most minimum of space and expect to be able to keep them sufficiently cooled. You'll either have to increase the size to accomodate a large fan and adequate air volume/flow, or you'll have to use a higher rpm fan to force air through the heavily impeded internals. Could an ATX PSU PCB fit in place of the DC/DC PCB? I'm willing to cut the fins to make the ram fit with some space.. and would probably put the original chipset heatsink on the cpu for cross airflow and better cooling. I would guess no. That thing says it's 85mm tall. The case itself just fits an 80mm fan on the side. The 85mm of the heat sink doesn't take into account the motherboard and standoffs. Plus it looks like that thing uses the push-pins to mount it. The motherboard you show uses hooks. Unless it comes with the hook type mounting as well. But I think it's too big for that.